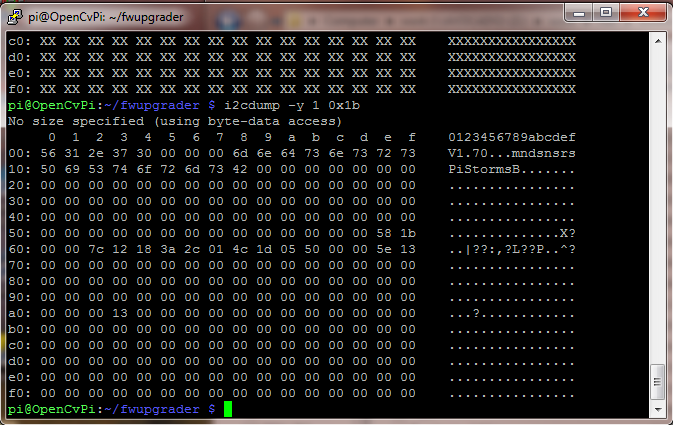 After downloading and unzipping the firmware upgrader application, you will need to copy this in your raspberry Pi. 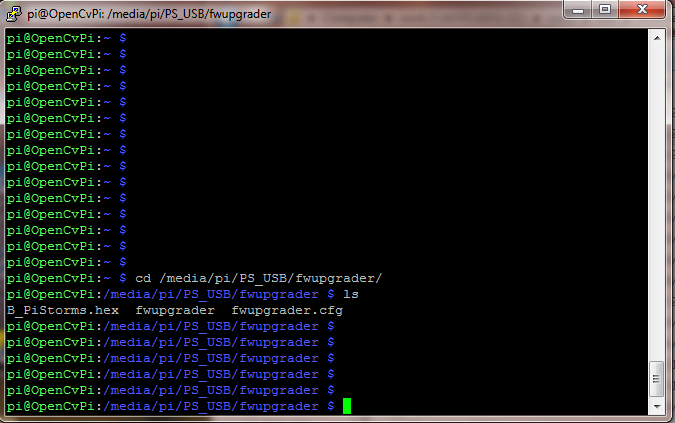 Simplest thing to do is Just copy this file to USB zip disk and plug into your Raspberry Pi's one of the USB port. More details on this are here. 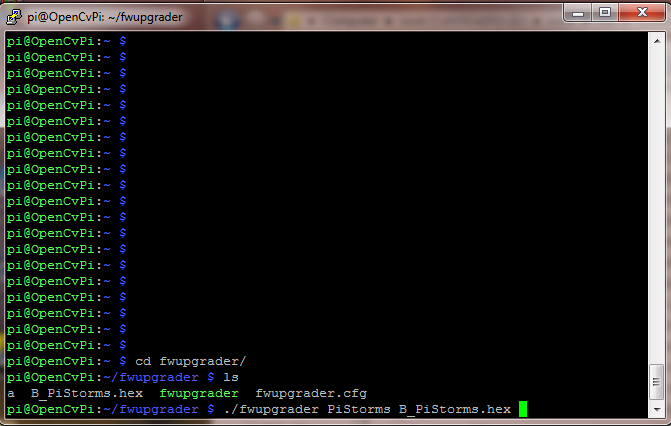 Before you upgrade the firmware of your PiStorms, you want to note down few things like the current version of your PiStorms and IP address of your Raspberry Pi. You can do this by running "About_me" from PiStorms browser screen. if your PiStorms is newer than V1.70, scroll down to section Upgrading PiStorms newer than V1.70. 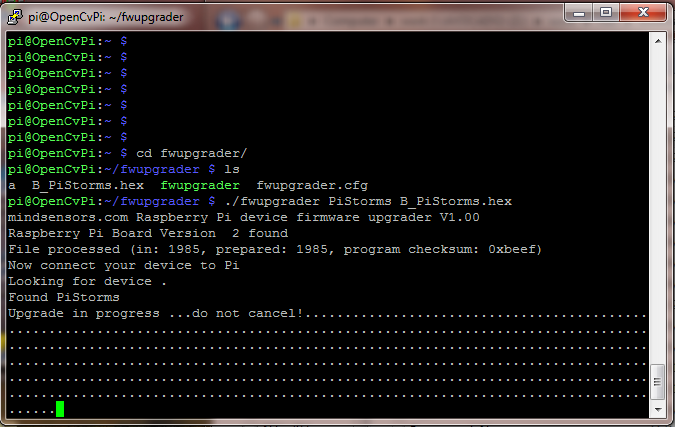 If you have PiStorms firmware older than that of 1.70 then you want to first Shutdown your raspberry Pi. Once Raspberry Pi has shut down disconnect one single battery from battery holder. Or if you are using the desktop adapter to power your Pi disconnect it from power. Now Press GO switch on your PiStorms and while holding it pressed, connect the power or insert the battery in the holder. This puts your PiStorms into boatload mode. and you will see your familiar PiStorms browser screen reappear. You can check your updated version using "About_me" from PiStorms browser screen.